Summer is here. It’s time to give your car some well-deserved maintenance. 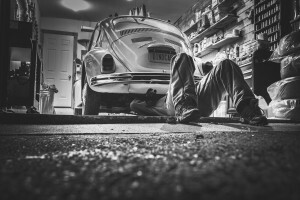 You don’t have to schedule your maintenance appointment with the mechanic just yet. There are plenty of simple tasks you can do at home with some patience, tools, and good instructions. From replenishing all of your vehicles basic fluids to checking the air pressure, and replacing the filters, there’s plenty of stuff you can work on. Maintenance can be costly, but it can save you from having to spend more money on repairs. But if you’re looking to save some cash and get your hands dirty, North American Wholesale brings you a list of tune-up tasks you can perform on your own. Your car lets you know when it’s time to change the oil. However, you don’t need to go running to a mechanic to replace it. Changing your oil is one of the easiest tasks you can do at home, and when you do choose to change your oil, be sure to get an AMSOIL Synthetic Oil change. Their XL 5W-20 Synthetic Motor Oil will give you longer oil change intervals and improve your engine’s performance. When you’re ready to change your oil and need to purchase your supplies, take some time to explore AMSOIL’s online store, or call North American Wholesale at (866) 580-1008 if you need some help choosing the right lubricant. Don’t forget to purchase a new oil filter, because a synthetic oil change wouldn’t be complete without one. The fuel filter keeps the carburetor clean and functioning. It also helps your fuel last longer. Maintaining a clean carburetor can save you hundreds of dollars in costly engine repairs. The fuel filter usually costs less than $20, so it’s a very fair deal. Another of the filters that keep your car clean is the air filter. The air filter prevents dirt, pollen, and other particles from outside from making their way into the engine and contributing to the formation of sludge. You need to replace the air filter once a year and use an air hose to clean it occasionally. The spark plugs help with your car’s fuel intake and smooth performance. They usually need to be replaced around every 30,000 miles or according to your owner’s manual. Messing with sparks and wires might make you feel anxious, but it’s not such a complicated task. You will, however, need to be patient and follow a specific order when you reinstall them. Your brake pads are of extreme importance to the brake system and your safety. Usually, the brake pads need to be replaced every 20,000 miles or more often if you’re prone to braking and accelerating suddenly. Changing the brake pads may prove to be a more challenging maintenance task, but you can do it with some patience and by following a tutorial like this one by The Family Handy Man this one on how to change your brake pads. The weather is getting warmer and so is your engine. The radiator and the cooling system are in charge of regulating the engine’s temperature and preventing it from overheating. With time, deposits can start to form in the radiator and clog the cooling system, preventing it from doing its job correctly. You can do a quick radiator flush to keep the system in good shape and replace your coolant with AMSOIL’s Low Toxicity Antifreeze and Engine Coolant. Just make sure to wait until the engine and radiator are cool before you start working. Rains are part of summer. You’re going to need full visibility if you plan on driving through them. Your windshield wipers should be replaced twice a year. If they’re cracked or not cleaning properly, you should change them at home. Cleaning your car won’t make it go faster, but it can indirectly help you improve your gas mileage. That extra weight you carry in your car can cause your engine to consume more fuel. Get rid of everything you don’t need on a daily basis. If you want to preserve your car’s looks, try to wash it each week and wax it occasionally, it will help protect the paint job. Start working on your car’s maintenance by getting a synthetic oil change. You can get AMSOIL Synthetic Oil and oil filter online, or you can call North American Wholesale at (866) 580-1008 to get some recommendations and place your order.